Home/Support/Keyboards/Custom Keyboards/Your thoughts on split-spacebar designs? Input Club Front Page › Forums › Support › Keyboards › Custom Keyboards › Your thoughts on split-spacebar designs? 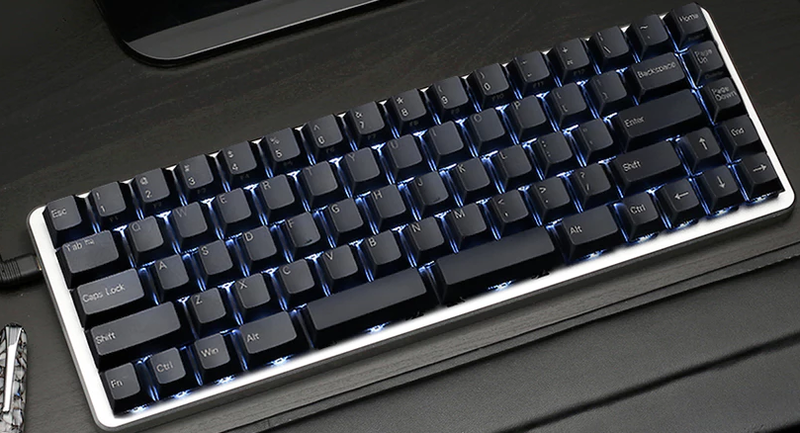 I was reading about the Z70 on Massdrop and while the split spacebar seemed gimmicky at first, it makes sense with a fully programmable board, as someone pointed out that most people wind up using the same thumb for hitting the spacebar, leaving one extremely accessible key for modifier/layer/macro goodness. What are your thoughts about this design, and is it something that IC has considered in designs? I think that they are excellent, when used correctly. On my custom keyboard (viewable here:goo.gl/Cqwo2a) I have a split spacebar, with the left half of the key being the backspace key. However– there are some people who balance out use of the spacebar between thumbs, and those people will refuse to use a differently sized spacebar. A similar question that I haven’t ever seen a conclusive study on is “Why not divide the shift keys?” The keys are wider than most people have the ability to use, and other than a decreased miss percentage (a problem I’m certain nobody on this forum has) there is no need for a 2/2.25/2.5/2.75u shift key. Wow, I hadn’t considered split shift keys. Or imagine a split Caps Lock key! Doesn’t HHKB use a split right-shift? It seems like a good place to put the Fn key, perhaps better than on the bottom row. As for my thoughts split space bar… Why doesn’t every keyboard have this by now????? Splitting the space bar is not a new thing. I think it was done at least as far back as 1995. I think it may have been introduced at the same time as the ridiculous “Windows” and “Menu” key, and keyboards with the split space bar were marketed as “Erase-Ease” keyboards. You know what I thought when I first saw one back in 1995? I thought, “What took you so damn long to do this?” It seemed like a completely obvious improvement, and I assumed that soon every keyboard would be made that way. I still think every keyboard needs a split space bar with backspace on the left half, and I’m frustrated that I don’t have any. I’ve looked at some options on the market today, I’m still pondering this dilemma. Most of the keyboards today with a split space bar are either tiny 40-45% things or they are fully-split keyboards (like the Mistel Barocco or Matias Ergo Pro). I’m still despairing over when split space bars will become standard issue on typical keyboards like they obviously should be. I look at something like the WhiteFox. . . It’s beautifully optimized, the layout is almost perfect, and then I look at the damn space bar and want to cry. I have dark fantasies of ripping one apart, having a custom plate fabricated, and then hand-wiring it so I can put in the split space bar that it obviously (to me) should have had from the beginning. I would like to see a spacebar split in three with the 1u keys on the left and right. To me these seem a natural place to put layer keys. I should have said I would like a spacebar split into three with 1.25 u keys on left and right. Just thought I might as well update this… I cancelled my Whitefox pre-order, since I’ve already built a DZ60 with the split spacebar that I wanted so badly. I’ve programmed the left half to be backspace, and the middle key is Fn. It’s right under my thumb, so all I have to do is press down and then I’ve got my arrow keys right at my fingertips on ESDF. I just got through building a second one with a Banana Split 60 PCB using almost the same layout, except that I also split the right shift key and used the extra as a dedicated Compose key. The forum ‘Custom Keyboards’ is closed to new topics and replies.